Your best friend gets married. She asked you to be her bridesmaid and ... now the fun begins. Honours and obligations await you, but the most complex and amusing part is definitely organizing the bachelorette party. Among classic ideas and others more original, we share with you 5 tips to make memorable the latest days as single woman of the future bride. 1. 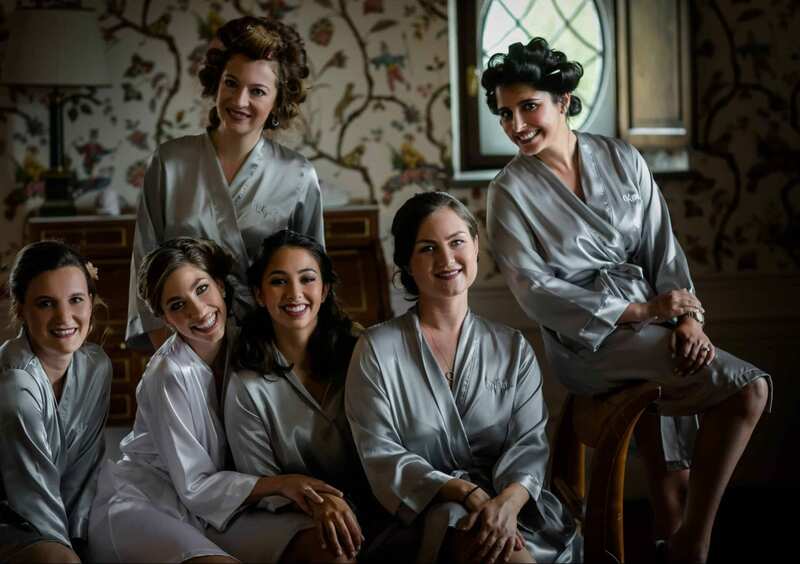 WELLNESS WEEKEND - The period that precedes the wedding day can be very stressful: the bride will appreciate very much the opportunity to laze with her friends and be cuddled. Booking a weekend in a luxury hotel with spa is a great solution for "renewing body and soul". Thanks to massages, cocktails by the pool and lots of chat, the fun is guaranteed! 2. WEEKEND FULL OF ACTIVITIES - if the bride is a very active person and full of interests, you could book a series of activities to do together. Cooking class, body painting, wine tours, painting or barman classes, yoga, just to give some examples. Or - if you are real sportswomen - you could go horse riding, trekking, snorkelling and even have an archery race: we bet none of you will ever forget this experience! 3. HANGOVER WEEKEND - the model is the traditional stag/hen party in Las Vegas, as well as in Ibiza or Apulia. There is only one keyword: have fun! During the day you sleep - or at most you can sunbathe in the pool - while the night is the moment to fully experience. Clubbing, concerts, shows, games… what a funny weekend! 4. SURPRISE PARTY- pretend to have organized an evening just for the two of you best friends, while in reality you have rented a house in a beautiful location easily reachable by all the other friends. A real surprise party with decorations, games, jokes and lots of laughs. 5. REALIZE HER DREAM - everyone has a dream in life, but few can make it come true. Help your bride to live her dream. If she wished to become an etoile, for example, take her to a ballet at La Scala in Milan or at the Paris Opera. If she loves a band or a singer in particular, book a VIP package to attend the concert with a special treatment and then let her get to know her idol. Whatever you choose, always bring a photographer with you to immortalize these special evenings among women.